AFPThe Gulf emirate of Abu Dhabi offered a peek Sunday of several artworks that will be displayed at its Guggenheim museum. 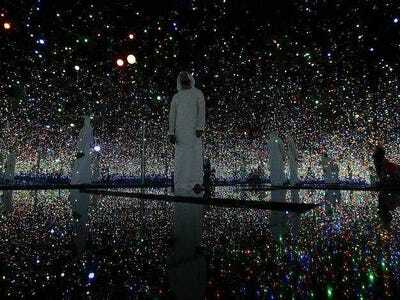 Abu Dhabi (AFP) – The Gulf emirate of Abu Dhabi offered a peek Sunday of several artworks that will be displayed at its Guggenheim museum, set to open in 2017. Visitors got a glimpse of 19 out of the 200 artworks acquired by oil-rich Abu Dhabi that will be on public display from Wednesday until January. US architect Frank Gehry designed the Abu Dhabi Guggenheim, which will be larger than its counterparts in New York, Berlin, Bilbao, Las Vegas, and Venice. 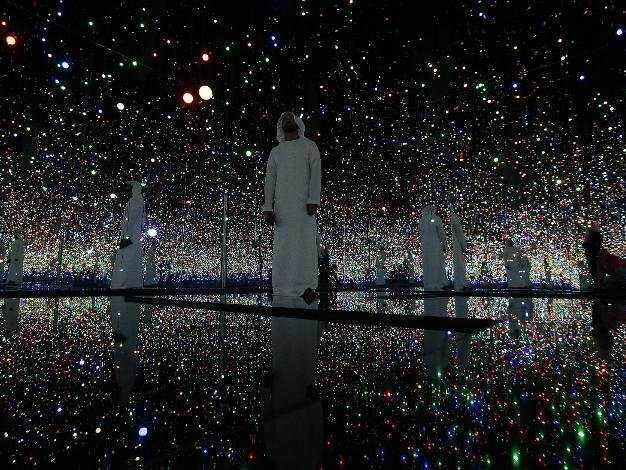 The exhibition “Seeing through Light: Selections from the Guggenheim Abu Dhabi Collection” features artworks by 19 international artists from the 1960s until present day that explore the theme of light. It showcases works by contemporary artists from the United States, Europe and the Middle East, including Larry Bell, Dan Flavin, Robert Irwin, Douglas Wheeler and Keith Sonnier. Works by German artist Otto Piene, founder of the Düsseldorf-based experimental artist group ZERO, as well as those by Japanese avant-garde artist Yayoi Kusama, are among the pieces acquired by the museum. “This group of artworks illuminates the creative vision of the future museum, offers the first glimpse of what is to come, and represents a significant milestone in the evolution of the new museum,” organisers said in a statement posted on the Guggenheim website. Last month the emirate, aiming to become a leader in the world of fine art, announced it would showcase masterpieces by Leonardo da Vinci and Vincent van Gogh, which will be among 300 works dating back to antiquity displayed at the Louvre Abu Dhabi. The museum — part of a collaboration that saw Abu Dhabi pay $US520 million (415 million euros) just to use the name of Paris’ world famous gallery — is set to open in December next year. Abu Dhabi is engaged in an ambitious development plan aimed at modernising the emirate and diversifying its economy.